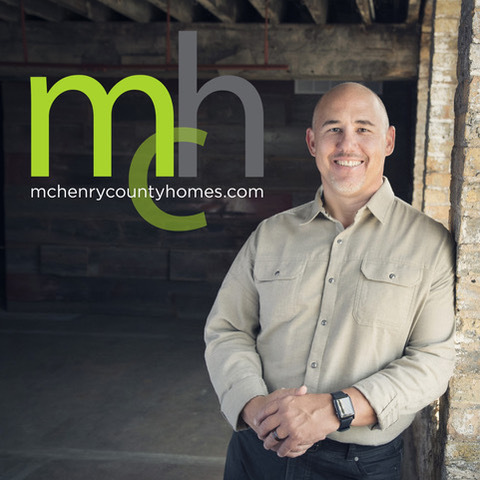 Thanks for visiting McHenry County Homes. Please allow me to tell you a bit about myself. Living and raising a family in McHenry County for the last 14 years, I know it and the surrounding county's very well. As a full time residential real estate broker with over thirteen years experience selling homes including over 200 properties and more than $70,000,000 in real estate sold, I have the experience, dedication and expertise necessary to make your home buying or selling experience as seamless and successful as possible. In fact, check out my client testimonials on this page to see what they are saying. With my brokerage services primarily focused in McHenry County, I also serve an existing client base in neighboring Kane, Lake and Cook County as well. Based on my unparalleled professionalism, technical aptitude, negotiating skills and client care expertise, you will discover these assets as the "difference makers" that set myself apart from other average agents. If you are considering buying or selling a home anywhere in the northwest suburbs, including and not limited to Crystal Lake, Lakewood, Dundee, Bull Valley, Prairie Grove, Marengo, Spring Grove, Richmond, Woodstock, Lake in the Hills, McHenry, Cary, Huntley, Algonquin and Island Lake then contact me now and let's setup a time to meet, preferably over a cup of coffee, to discuss your specific needs. Whether you currently live locally or are drawn to the area because of the highly rated schools, parks, facilities, conservation districts, historic shopping districts and more, I am confident you will benefit from my expert local knowledge and experience.